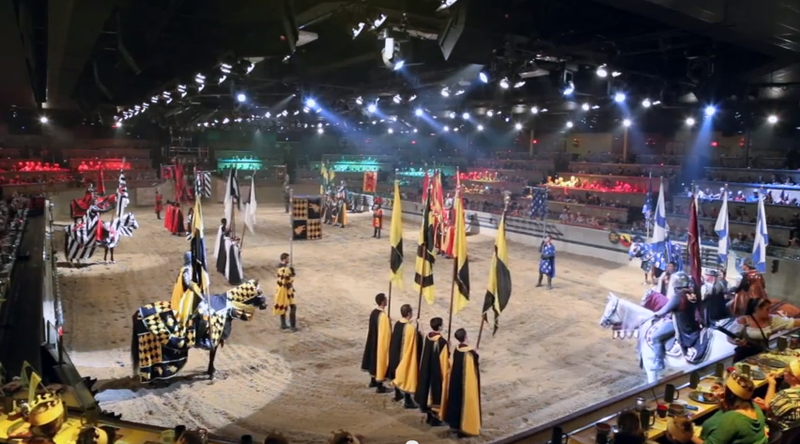 Live the Life Of Medieval Lords and Ladies While Dining and Enjoying A Show. Are you looking for a fun place to eat that is a little out of the ordinary? Would you like to have a dinner and show all in one place? Medieval Times at Buena Park Castle could be the place for you. 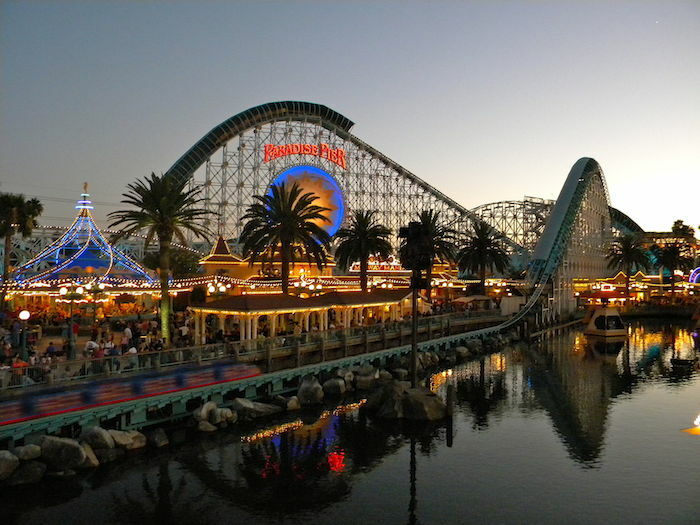 Opened in June of 1986, it is a medieval themed restaurant that entertained guests of all ages. During a visit to Buena Park Castle, guests are served a delicious four-course feast and treated to a show that features brave and gallant knights competing in a jousting tournament. Located on seven acres in the in the heart of Buena Park’s Entertainment Zone, Buena Park Castle consists of 70,000 square feet. This European style castle features a courtyard, souring tower, a decorated Hall of Arms, a Knights Club, and a gift shop. The main stage called the Grand Ceremonial Arena is air-conditioned and seats up to 1,110 guests. The arena consists of a state of the art sound system, special effects and lighting system. Buena Park Castle also consists of a Museum of Torture and an indoor stable that guests can view some of the castle’s well cared for horses. The castle is home to 30 horses ranging from 3 to 16 years old. These horses are born and raised on a ranch called the Medieval Times Chapel Creek Ranch in Sanger, Texas and upon their retirement, they return to the ranch for a life of royal luxury. The Castle also offers a full bar service and they allow outside food to those with young children or who cannot have any of the menu options. With many entertained and happy customers, Medieval Times at Buena Castle is a fun experience that is guaranteed to please the family. Not only is it a fun place to eat, it is also one of the top attractions in Buena Vista.